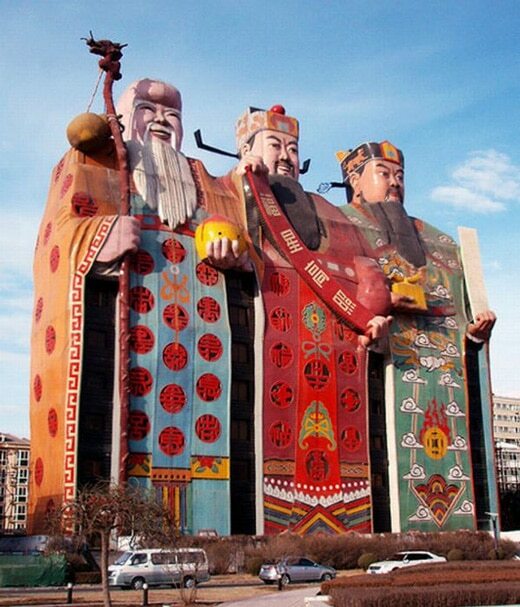 The image above is the ten story Tianzi Hotel in the Hebei Province, China. The three men which form the hotel’s facade are Fu Lu Shou (in Chenese, this means fortune, prosperity and longevity). A photo of the Tianzi Hotel, plus dozens of other unusual buildings around the world, is in the Industrial Design section below.